Want to learn python? Learning python book is a great resource for beginners to learn python. 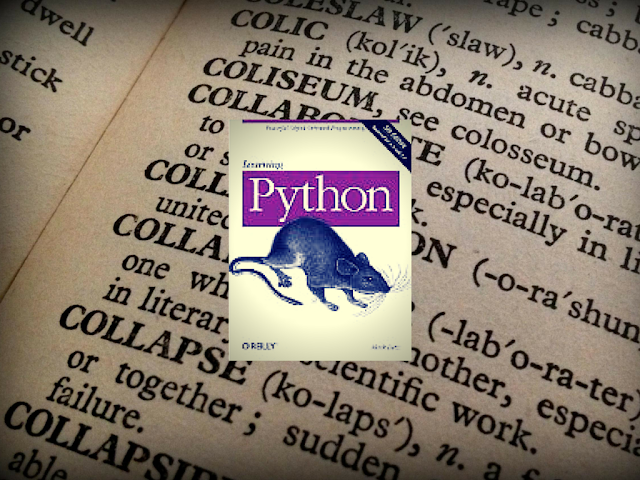 In this page, we have an exclusive review of the best selling python book by author Mark Lutz. This is one of the best python book recommended for beginners. Python is a a popular programming language. You may find plenty of free python PDFs, eBooks and tutorials on web, however nothing can match a book from the expert. We highly recommend using a book instead of online tutorials. If you like more choices of books you may also want to check out our best python books article. This book covers all about Python Programming, beginning with the simplest and most fundamental features and then moving on to the newly integrated advanced attributes. After training programmers on Python for more than 30 years, Mark has extracted the best from years of experience. This book can save you from getting frustrated as many beginners do and help you easily master complex concepts, owing to its simple and effective approach to programming. At the same time, it’s an exceptionally valuable reference for advanced programmers. Learning Python has been remarkably simplified, and the need to refer to multiple online resources all the time can be minimized if you have the book. Mark has authored some of best-selling books on Python that first came into print, and Mark’s O’ Reilly series of books are still the best resources for understanding and learning Python. A professional Python trainer since 1992, and writer of many bestsellers, Mark’s latest book contains the distilled essence of all he learned in more than 30 years, and readers will easily feel the difference as they read the book, each concept is explained beautifully, comprehensively and simplified. This book is certainly a must read for every developer and programmer, and everyone should read it at least once in a lifetime. Learning Python and mastering it is definitely a bit complex, and it does require hard work. Your approach to learning can, however, make a huge difference to the amount of time you need to spend on studying, before you have reasonable mastery and a clear grasp of fundamental and core concepts. This book simplifies learning and covers all concepts in extensive detail. The step-by-step approach to learning complex terminology and key concepts solves most problems that beginners face, when they try to learn a new programming language. Each step is clearly explained, and starting from page 1 to the end of a book you’ll get a smooth learning experience. Simple steps to learning. Easy to understand language that explains keeping the absolute beginner in mind. This helps and can be way better than switching between different online resources or watching a multitude of videos that do not at times help you move on a continuous learning curve and can lead to confusion. Some programming experience and exposure are necessary to grasp concepts, but for a beginner who has a reasonable knowledge of the basics, this book will cater to all your needs and prepare you effectively. Clarity about all the basics is anyway a necessary prerequisite if you plan to learn a complex programming language like Python. Before you get down to programming if you read the book completely it will make a great difference to your overall approach, confidence and clarity that will enable you to create a great product or application. Python is a bit hard and the idea of learning it all too quickly may not work. Many readers have deeply appreciated the way the book has been structured and benefited immensely from its well- designed instructional delivery. Programming veterans and absolute beginners both groups of people feel enriched by reading the book. Mark provides great detail about every concept and tries to mention every available method to solve a problem or accomplish a task. Where multiple methods are available, no method is missed out and elaborate descriptions are provided. Teaches everything about Python, a great resource, but the in-depth details make it huge and not a very enjoyable experience. Some more elaborate and better examples would have made it more effective. Exercises would have improved understanding and solidified key concepts. At times exceptions and rules have been explained in lengthy detail that could have been shortened and made more to-the-point and precise. The attempt to teach Python 2.0 simultaneously can lead to confusion for some beginners. Old-school approach to learning that could have been made more modern and a little more hands-on. Python is an amazing programming language and this book is a single resource that compiles everything you need to know about Python. Such single book has to be massive, as the content is extensive. The structure and design of instruction, the extensive experience of the author, and the step-by-step approach make it a valuable resource. It’s a book that will teach all about Python, and will only supplement your learning even if you are referring to online video tutorials or other resources.